One of the toughest moments in the raising bilingual kids journey is when we realize we’ve put so much effort, time and even money into making sure our child is exposed to a second language and he just really won’t hold a conversation in Spanish with you. It happens to all of us; we call it the “bilingual rebellion stage” and pretty much everyone I know has gone through it at some point and at varying degrees of intensity. Ours has lasted for years now and goes off and on. But one thing is for sure — I’ve learned to pick my battles when it comes to enforcing the Spanish-only rule at home. Getting my daughter to speak only in Spanish to us definitely requires the ideal balance of softness and strength of character for me. There are moments when I demand that she speaks in Spanish and help her make the switch because I know she can. The strength also comes in by having certain rules like reading to her only in Spanish, asking her to pick books in Spanish from the library, and choosing to put her shows and videos in Spanish. These are moments where Spanish is non-negotiable. But the Spanish-only rules are softened when she’s sharing her thoughts and life stories with me. I adore the fact that she loves to tell me everything and I just can’t find the strength to force her to stop the natural flow of her thoughts to switch to Spanish. So, I get soft and let her go. I continue to respond in Spanish and also repeat in Spanish many of the things she says. At the end of the day, it’s all about the decisions we make each and every day. It’s up to us to decide what works best for our child when exposing them to a second language. Every child is different and the key is to make the right decisions for them while we can so they have fun learning in immersive and natural ways. Some days we get it right and it seems to click for them, but others we feel defeated. Life is definitely a balancing act, and life with a purpose and a mission to gift our children with a bilingual upbringing is even a bigger one. Just remember that the most important part of this journey is your desire and commitment — all with a perfect balance of softness and strength. You will never regret it! Share: How do you balance your softness and strength through your kid’s bilingual rebellion stage? An Ideal Balance of Softness and Strength™. 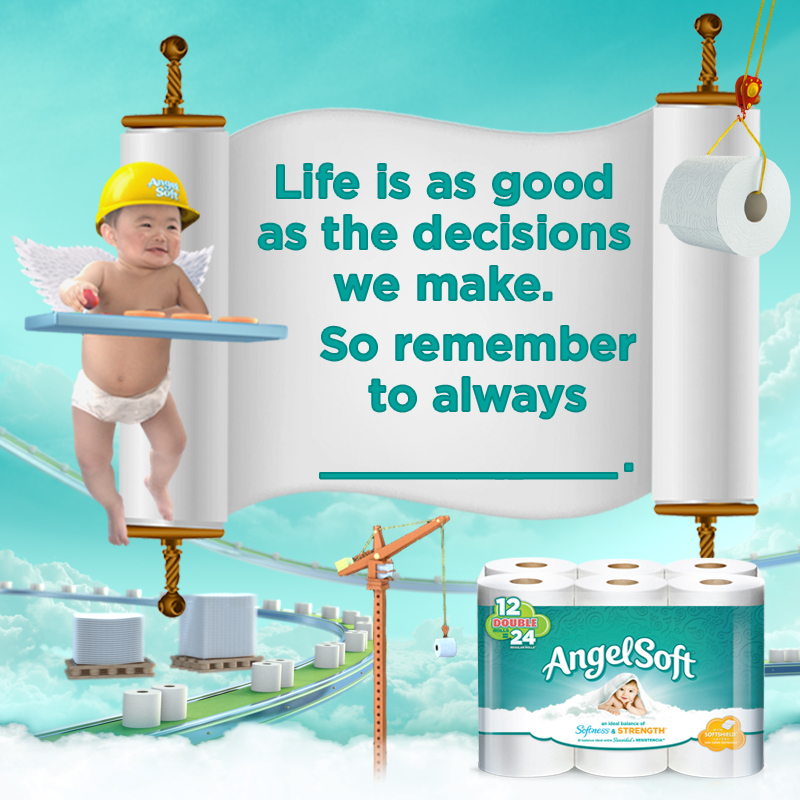 Angel Soft® gives your family the right quality at the value you love. 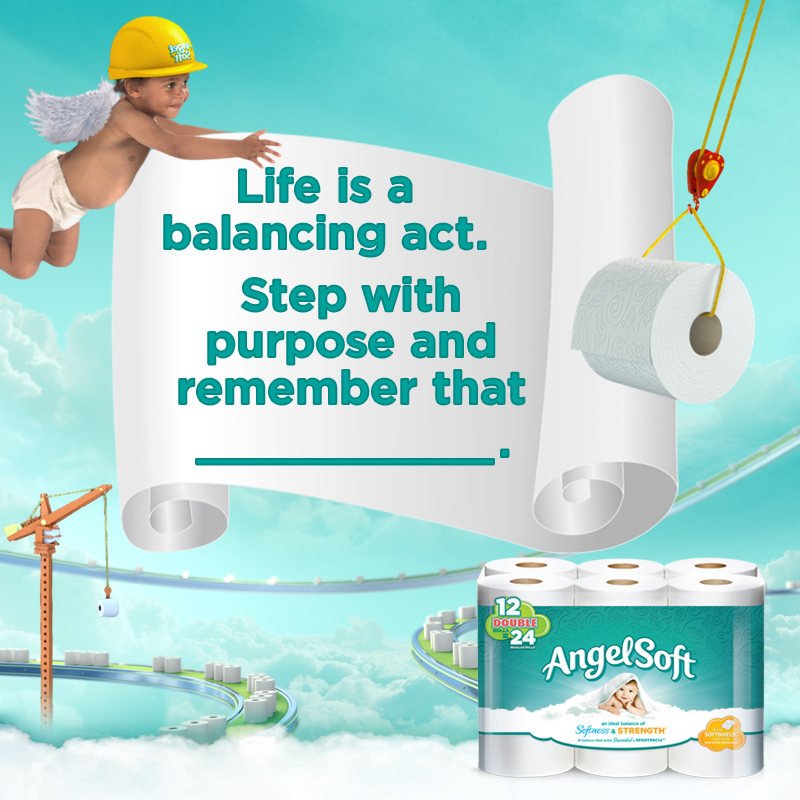 So stay tuned for a giveaway of a year’s supply of Angel Soft® next week where you get to share with us how you have had to find that balance between softness and strength in your life. For now, visit and Like the Angel Soft Facebook page for savings and conversations. Disclosure: This is a sponsored post in collaboration with Angel Soft. As always, all thoughts and opinions are my own.